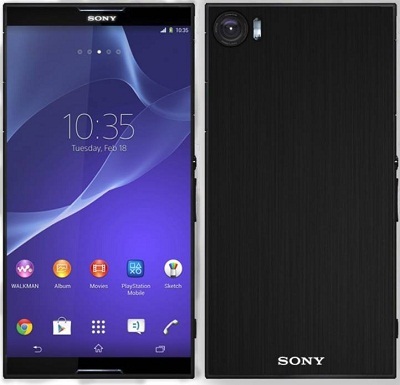 Sony was alleged to launch the Xperia Z3 smartphone in India on September 19, but it did not happen. Now, the Japanese tech giant has sent out media invites for a press event that is slated to happen in New Delhi on September 25. Though the invite does not mention that the vendor will be launching the Xperia Z3 at the event, there are speculations that the firm could be announcing the flagship model. The invite sent out by Sony is simplistic and has a tag line reading, “The time to great demand is coming” and has a golden finish reminding us of the Xperia Z3 body. Besides, the Xperia Z3, there are speculations that the Android Wear based SmartWatch 3 will also be released in the country. Reminding of the specifications, the Xperia Z3 flagship smartphone comes fitted with a 5.2 inch TRILUMINOS display with X-Reality engine. This display features FHD 1920×1080 pixel resolution and is layered with a scratch resistant coating. The big ticket smartphone makes use of a Qualcomm Snapdragon 801 chipset under its hood clocked at 2.5 GHz and teamed up with Adreno 330 graphics unit and 3 GB of RAM for effective multi-tasking. Running on Android 4.4 KitKat operating system, the Sony Xperia Z3 flaunts of a 20.7 MP primary camera at its back with auto focus, LED flash and 4K video recording and also a 2.2 MP front-facing shooter onboard. Storage wise, there is 16 GB of native storage capacity and expandable storage support up to 128 GB. Connectivity features onboard the flagship Sony smartphone include 4G LTE, aGPS/GLONASS, Bluetooth 4.0, NFC, Native USB tethering, micro USB and Wi-Fi. There is a 3,100 mAh battery under its hood that will provide the smartphone up to 19 hours of talk time and 740 hours of standby time with Battery STAMINA mode. As of now, there is no clear picture on what could be the pricing of the Xperia Z3 in India, but it is believed to be around Rs 47,000.